We lost our beloved Grandfather on Wednesday, but we have sadly missed him for many years. For a man who had struggled and fought for the majority of his life, Dada did not get the happy ending he deserved. A large piece of him died in March 2002 with the passage of his partner in marriage and life. And although I truly believe he is now at peace, it is still extremely difficult to let him go. Our Ram has now returned to his Sita, and yet we all wish Ba and Dada were here with us today. I will not seek today to measure the impact that a father or a grandfather has on someone’s life. I will not seek to understand his sudden passing. And I will certainly not ask the “What If” question. For to do so would be an injustice to my grandfather, and more directly to all of us. Rather, I seek to celebrate his life – for it was a long and beautiful one. I had the pleasure of knowing Dada for 25 years and I will remember him for the great man he was. Because that great man had a tremendous impact on me. The way Dada lived was inspirational – and from that, we can all learn something. Dada was kind and caring; reserved, but disciplined, and simple, yet profound. He aspired to live to his God-given potential, and had the constitution, dedication, and persistence to allow his values to drive each and every choice he made. Dada showed us what a man of faith could be. Above all others, he loved and remained devoted to Lord Swaminarayan. To Dada, faith was of the utmost importance. His faith formed who he was and how he lived his life. Dada not only believed, but he practiced his faith. He loved all people and believed in their ability to do good. He believed in forgiveness and its redeeming power. He believed in the strength of community and friendship as the building block of society and human interaction. As a disciplined man, he never steered off the path of righteousness. Everyday, Dada woke up and performed pooja. As a small child, I would sit with him as he explained to me the importance maarah, the stories of Lord Swaminarayan, and the ritual with which we offer thanks and ask for blessings. Everyday, Dada would serve food to bhagwan before consuming it himself – from the largest of meals to a mere sprinkling of almonds or fruit. Everyday, Dada had a strict regiment and daily schedule. His daily ritual was something he took utmost pride in – as he came downstairs impeccably dressed, painstakingly attentive, and always with his signature smile – which even on my worst days, brought me happiness. And although Dada was a simple man, he was also an extraordinary one for living a pure life, day in and day out, for 82 long years. We can all learn from his example. At times, I spent more time with him than my own parents. But, I cannot imagine my life would have been the same without him. If you ever spoke with Dada – about religious matters or the daily news – he undoubtedly had an impact on you. If you ever came to our house and asked for his blessings, Dada had an impact on you. And if you ever experienced hardship and heard his caring advice, Dada had an impact on you. Ted Kennedy once said “The passage of time never really heals the tragic memory of such a great loss, but we carry on, because we have to, because our loved one would want us to, and because there is still light to guide us in the world from the love they gave us”. We carry on. What powerful words. We carry on with Dada’s teachings of living a simple and disciplined life. We carry on with his strong belief of faith. We carry on with his most positive outlook on life and his innocent joie de vivre that brought smiles to everyone he met. We carry on because in the course of human events, we must. As hard as it is, we must believe and have faith that everything will be okay. Because that is what Dada taught us his whole life. He had the faith of a man who grew up in a small town in India and dared to raise and support a beautiful family. He had the faith to send his only son to the United States. His faith allowed him to see the world. His faith gave him strength when his beloved wife passed away. His faith allowed him to pray for those that cared for him moreso than pray for himself. And his faith gave him peace in the final moments of his life. He said to my father not to worry about him, because his Lord had made all preparations to take him home. That level of faith should inspire all of us and give us the strength which we need to move forward. Gandhiji once said, “Faith is not a delicate flower which would wither away under the slightest stormy weather.” Faith is strong and it is forever. Reinvesting in faith is Dada’s greatest legacy for us and I believe in that faith, we can find comfort and solace. On behalf of our entire family, I solemnly thank you for attending the funeral and cremation of our beloved Dada. Your presence here speaks volumes. Your friendship has never been more dear than during these troubling times. Many of you have come to our home to offer condolences and support, when your love and comfort was most needed. Others came bearing delicious foods, for when we had not the strength to prepare it ourselves. Most importantly, your presence reminds us of all the people who had been touched by Dada, and loved him as their own. For I can say without hesitation that he loved each and every one of you and even in his dying breaths, gave both his appreciation and blessings to all those that had the pleasure of meeting him. 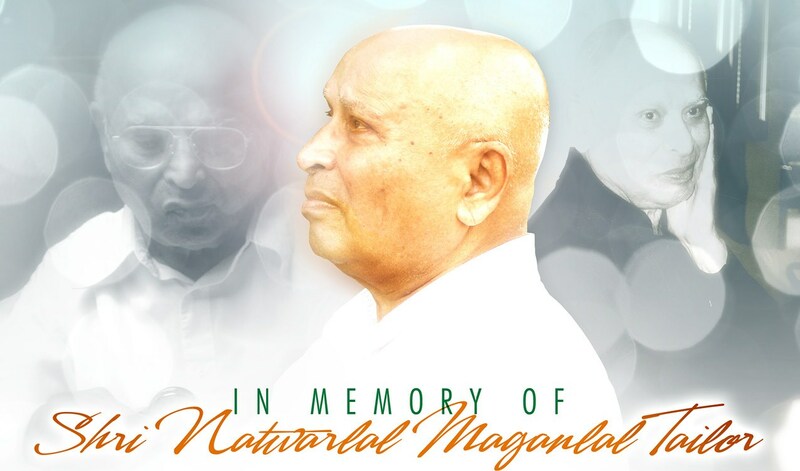 So, I personally offer my gratitude to all of you, for sacrificing your time to honor the life of a great man – a man who has had a tremendous impact on everyone sitting in this room – Natwarlal Tailor. Jai Swaminarayan. beautiful speech v. im so glad you posted this.